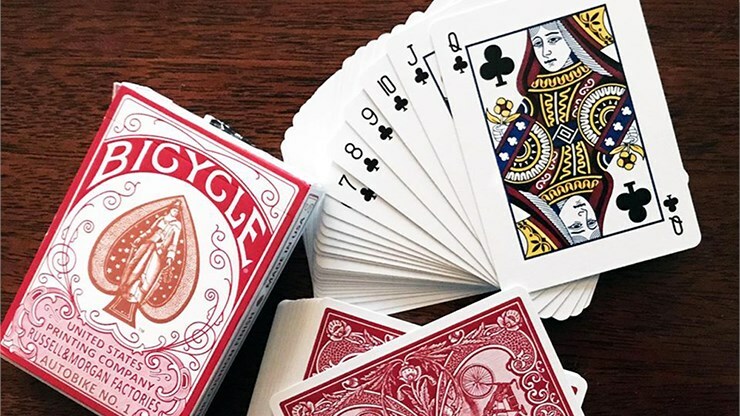 I love playing cards that have a vintage look, and this deck fits the bill perfectly. 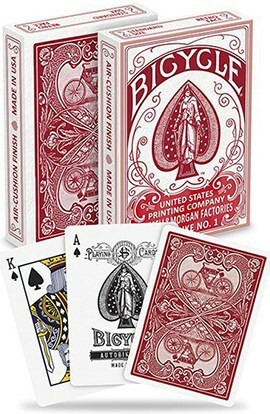 The design from the early 1900s, and this is the RED version of the deck (it's also available in BLUE). 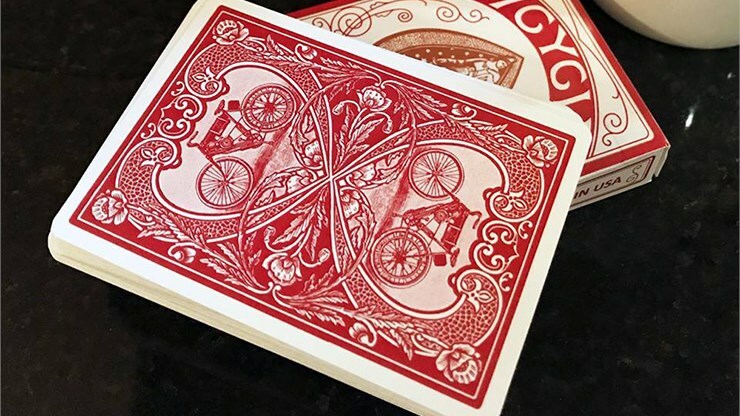 The card backs are a two-way design with a picture of a motorized bicycle on each half. 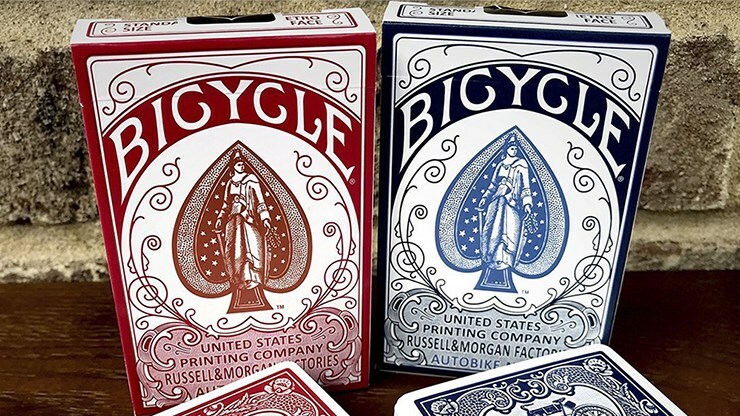 The faces are a departure from modern Bicycle decks and noticeably different. The pips are quite different in style, with a more vintage style. The red of the pips and court cards is a darker maroon than normal. The court cards have a traditional style but look more vintage. 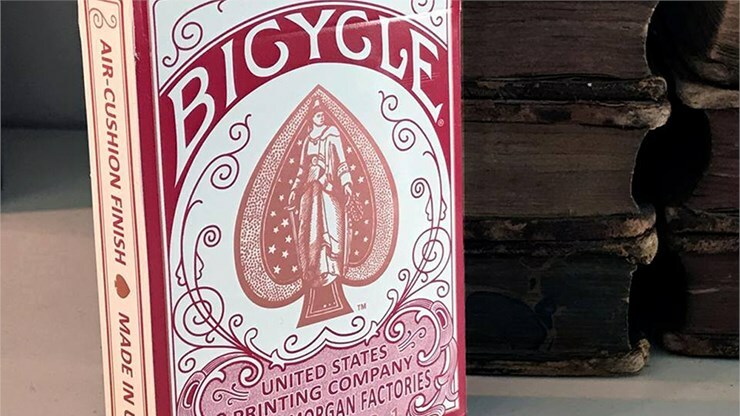 Jokers are standard, but the Ace of Spades has a vintage look with a decorated over-sized pip that matches the artwork on the box cover. 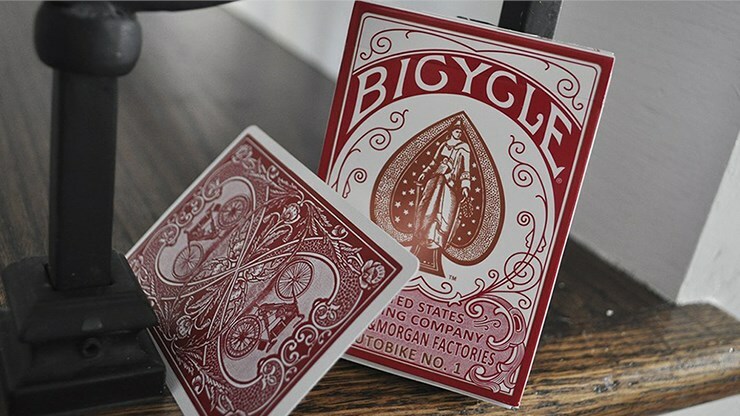 A nice historic deck that has modern Bicycle quality and handling, but an older look.